New battery technology that has created a new bendable battery might be changing the development and design of future gadgets forever. The new ultrathin rechargeable lithium-ion batteries have been fabricated on a single sheet of paper, resulting in highly flexible and lightweight portable power sources. A study published in ACS Nano by Stanford University researchers explains these new batteries, at just 300 μm thick, are thinner and more flexible, but exhibit higher energy density and other electrical advantages, compared with other types of thin batteries. 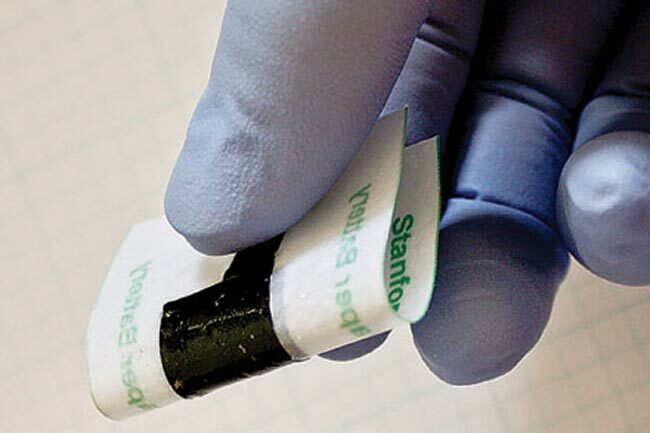 To make the batteries, Stanford materials scientists Liangbing Hu, Hui Wu, Yi Cui, and coworkers coated a solid support with a thin film of carbon nanotubes and deposited a film of a metal-containing lithium compound on top of the nanotubes. Then the team deposited the double-layer films on both sides of ordinary paper. In that design, the lithium layers function as battery electrodes and the nanotube films serve as current collectors. The paper is the electrode separator and also serves as a mechanical support. Personally I cant wait to see what new devices this technology can create, but the technology is still in the early stages of development so we will have to put up with bulky batteries for a another few years at least.